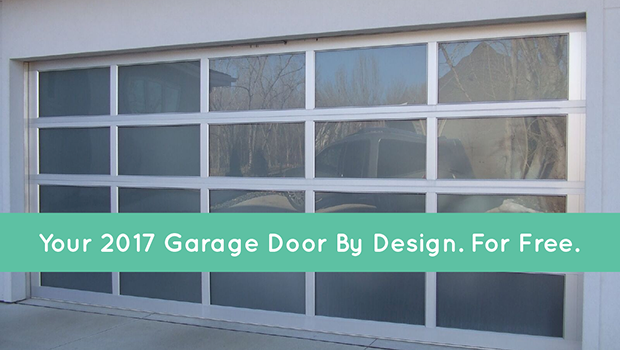 Your 2017 Garage Door By Design. For Free. If a garage door is in your future for 2017, our Overhead Door DoorView Visualizer can make quick and easy work of designing the perfect one for your home. In fact, most would say it’s not work at all; it actually makes picking colors, windows, hardware, and finishes fun. Garage doors in 2017 are anything but standard issue. With so many options and choices, however, it can be hard to know which ones are the best for your curb appeal goals and ultimate end aesthetic. The DoorView Visualizer lets you virtually “try on” several different designs, materials, and looks so that you know exactly what you’re getting when you place your order. Using our garage door design center is easy. First, head here to get started. Upload a clear and bright picture of your home, preferably one with the garage door in full, unobstructed view. Don’t have a picture handy? Use one of the template homes provided. Select a garage door style. Customize your garage door with your favorite colors, windows, glass, hardware, and appropriate door size. Save your design, print it out, share it with the social interwebs, and get an opinion from the peanut gallery. Upgrading your garage door can be one of the best things homeowners can do to improve the value of their home. This year, make your home’s largest moving object the center of attention it deserves. Want something a little more hands-on (but using another person's expert opinion)? Our Overhead Door of Sioux City and Yankton design pros are here to serve.